Wladimir Klitschko (59-3, 51 KOs) and Francesco Pianeta (28-0, 15 KOs) participated today in the fight week press conference at the SAP arena in Mannheim to talk about their fight on May 4. 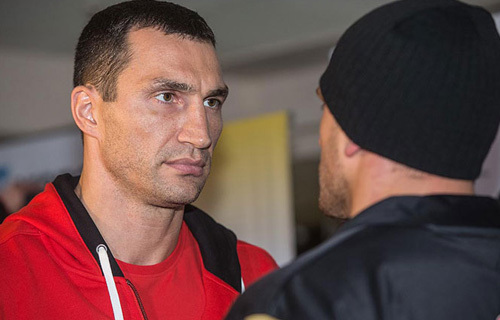 IBF, WBA, WBO, IBO and “The Ring Magazine” Heavyweight Champion Klitschko and his undefeated Italian contender Pianeta will face off next Saturday at the SAP arena Mannheim, Germany. The fight will be shown live on RTL in Germany. EPIX will show the fight in the US. Remaining tickets for the fight night are available on www.saparena.de and via phone under +49-621-18190-333.